This week we have been excited to begin our work on poetry. We have looked at a variety of work written by Lewis Caroll and we are now looking in detail at his poem 'Jabberwocky'. In maths we are learning about perimeter and we have enjoyed some Christmas themed maths. 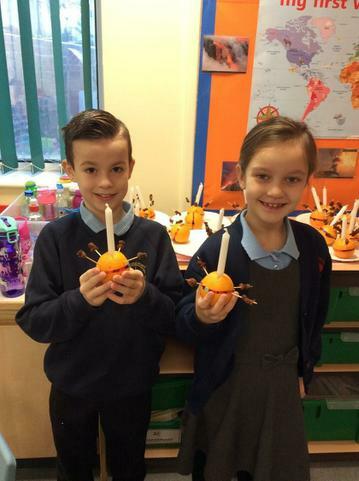 We all made Christingles this week and we found out about the tradition behind them. We all joined in our Christingle service in school. This week we have been writing a recount about our visit to Asda. We have used sequential words and we made sure that our recounts are in chronological order. We had a fantastic afternoon making fruit kebabs at our parent topic workshop and we have looked further into the food that we eat and the five key food groups. 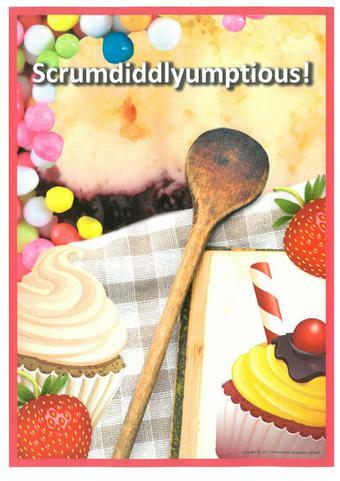 We have begun our yummy journey of discovery where we will be tasting fantastic fruits and tantalizing treats! We went to Asda and looked at the different fruits and vegetables than can be bought there. We found out what countries the foods originated from and we realised that lots of fruits that we eat have to travel a long way before they get to our fruit bowls! We decided what fruits we were going to use to make our fruit kebabs with our parents in our topic session next week. We have completed our Tremors topic this week. 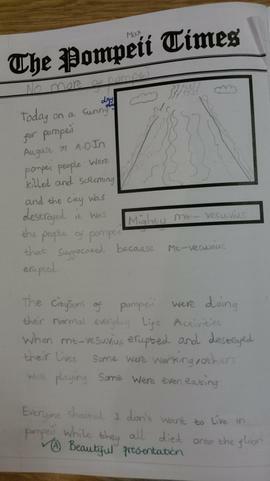 We have learnt some amazing facts about what happened in Pompeii and what happens when a volcano erupts. 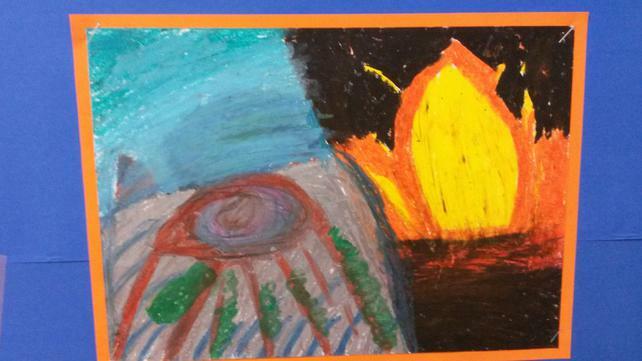 We have discovered the dangerous and ferocious world of natural disasters and the hot fired lava of volcanoes. 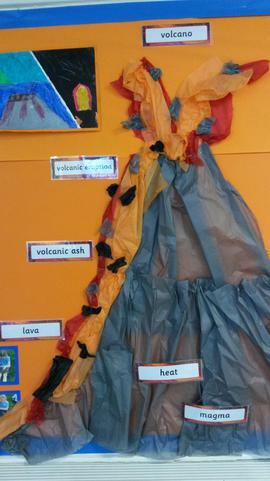 We have even made our own volcanoes that erupted. 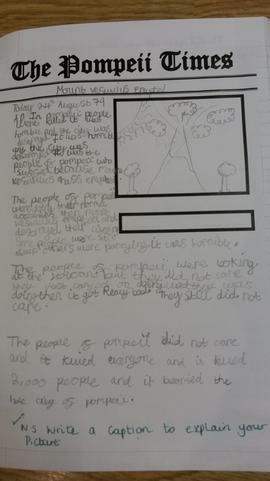 We have continued our topic about volcanoes and we have been writing newspaper articles reporting on what happened on 24th August AD 79. 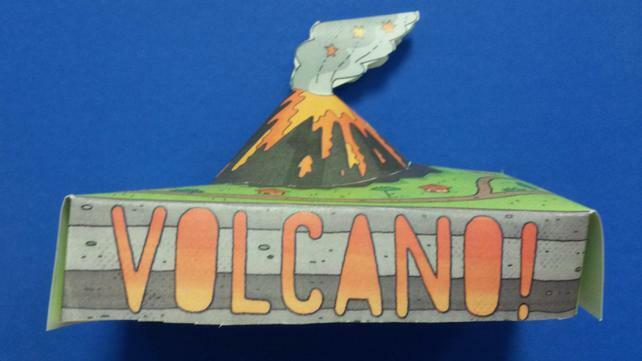 Before this time people in Pompeii did not know that Vesuvius was even a volcano! We read our newspaper reports to the rest of the class in role as news reporters. 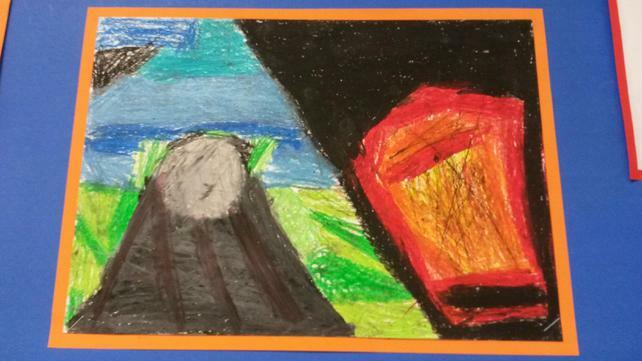 Did you know ... Mount Vesuvius last erupted in 1944.